Today, the Chamber spotlight is on Sealy Outdoors, located at 3887 Recreation Rd 255 in Brookeland. 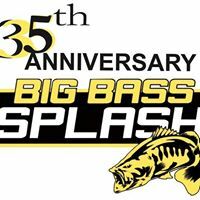 Since 1984, Sealy Outdoors has been producing the largest amateur fishing tournaments in fishing history…..and this year marks the 35th anniversary with a festival celebration beginning Wednesday, April 24. The fishing begins on Friday, April 26 through Sunday, April 28. Go to sealyoutdoors.com to register today.